Having just released the joint single “Runner’ feat. Baro, Remi and Raiza Biza have just announced a small run of intimate shows in Australia and New Zealand. The tour will see them perform in Melbourne, Sydney, Wellington and Auckland throughout November 2018. 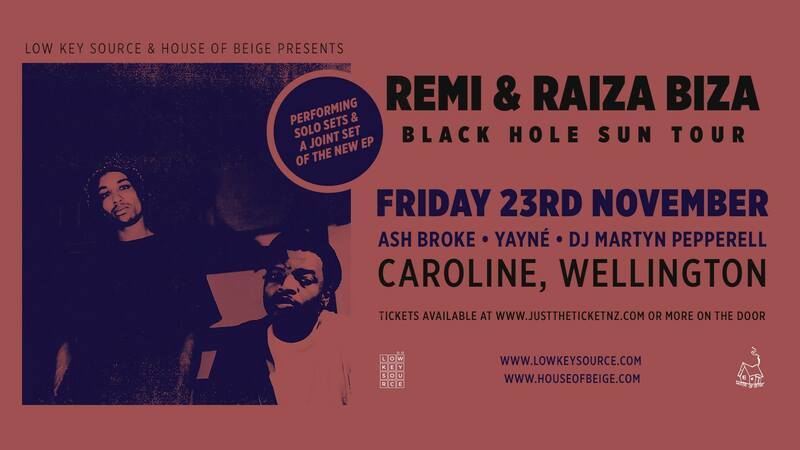 Remi and Raiza recently announced the release of Black Hole Sun, a collaborative EP between Remi and Raiza Biza, with all the beats and production coming from hip hop legend Black Milk. The intimate shows will see Remi and Raiza both perform solo sets, together with a joint set where the Black Hole Sun EP will be performed by both emcees in its entirety.